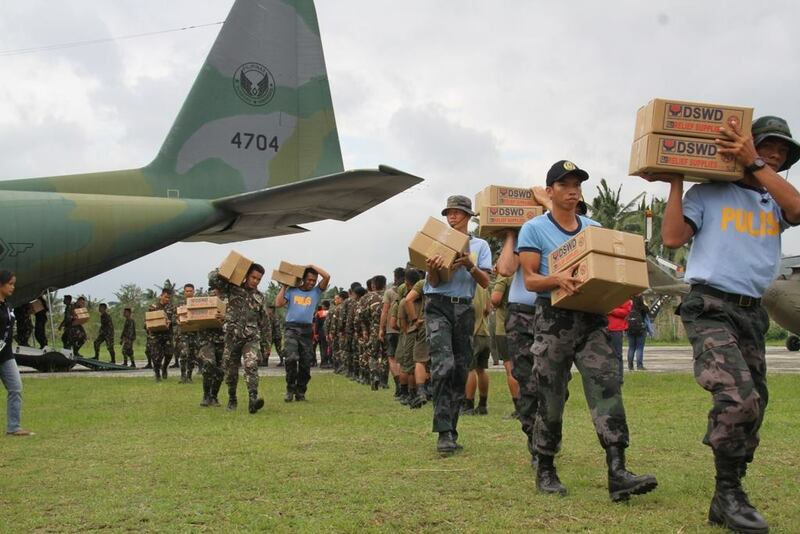 The Philippine Air Force has begun transporting food packs, relief goods, and other essential items to Baler and Casiguran via PAF C130s to to provide aid for the Lando-affected families in those areas. 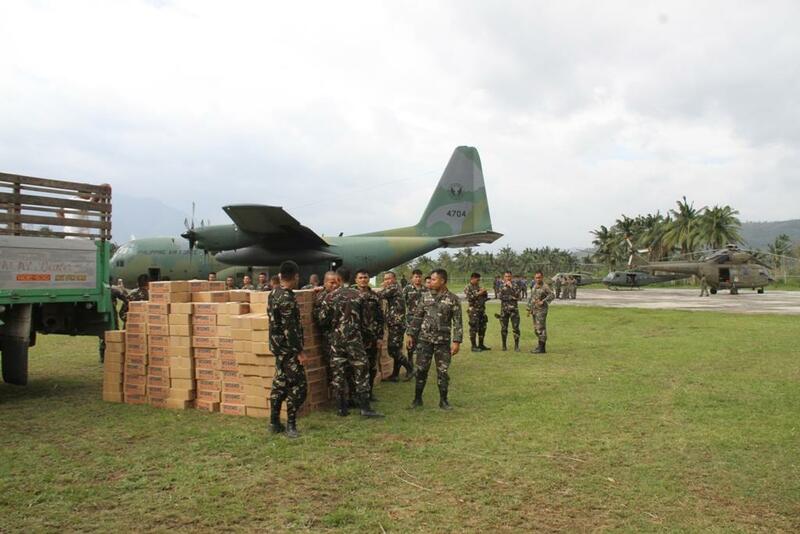 The first C-130 arrived in Baler Airport at 8:00 a.m. with 840 family food packs. 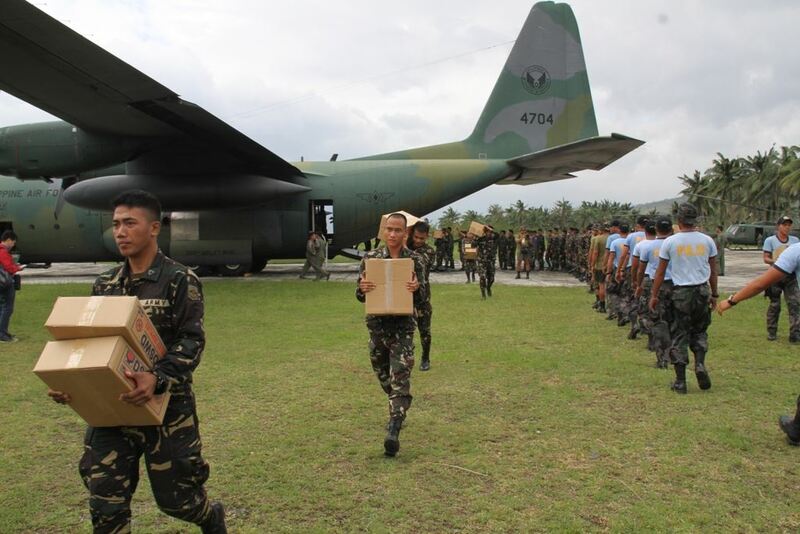 After unloading some of the relief goods, the same C-130 proceeded to Casiguran Airport and arrived at 9:25 a.m. to continue the delivery of relief goods. 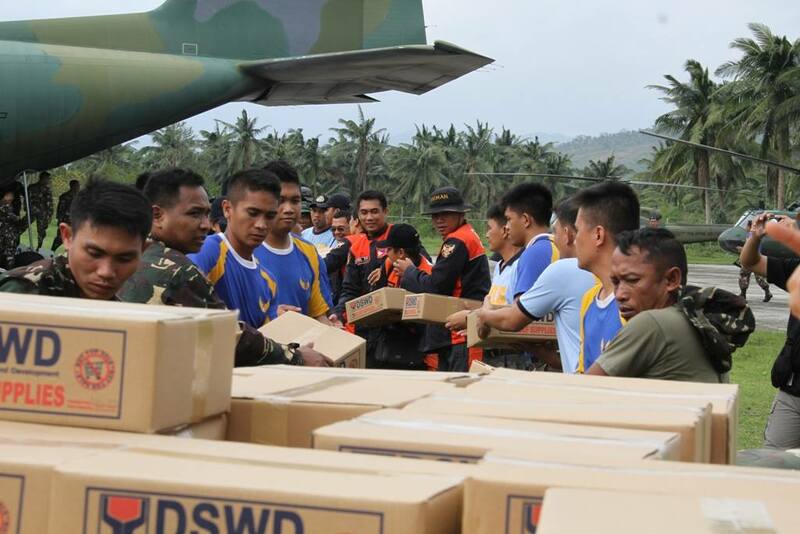 The relief operations were supervised by the LGU officials with Sec. 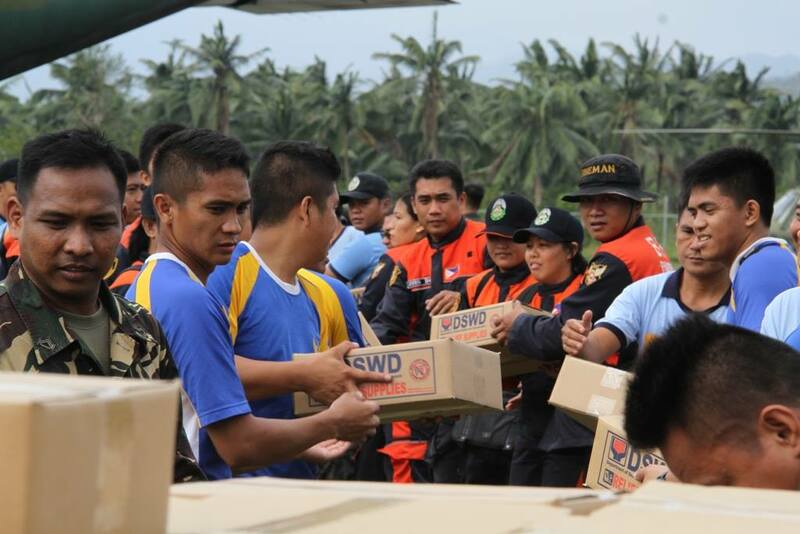 Mel Senen Sarmiento, Department of the Interior and Local Government; Sec Corazon Juliano-Soliman, Department of Social Welfare and Development and Undersecretary Alexander P. Pama, Office of Civil Defense. 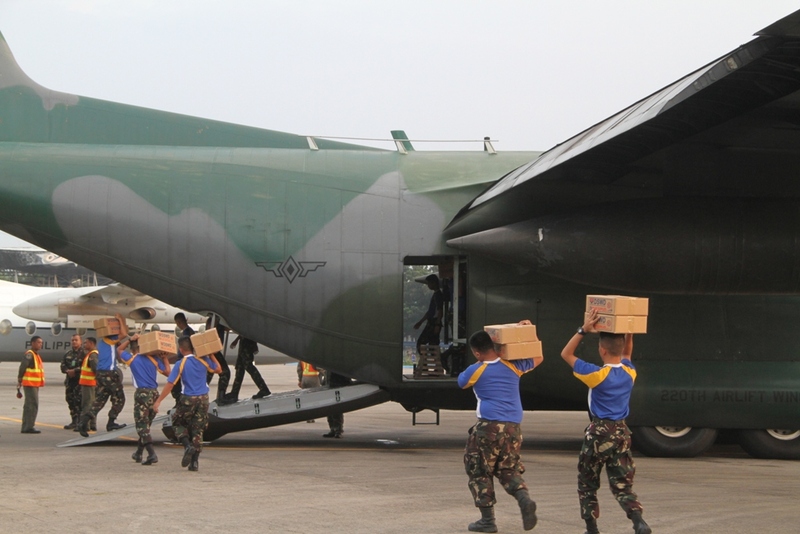 The 2nd C-130 arrived Baler Airport at 9:50 a.m. with 660 family food packs, 1,680 pcs. 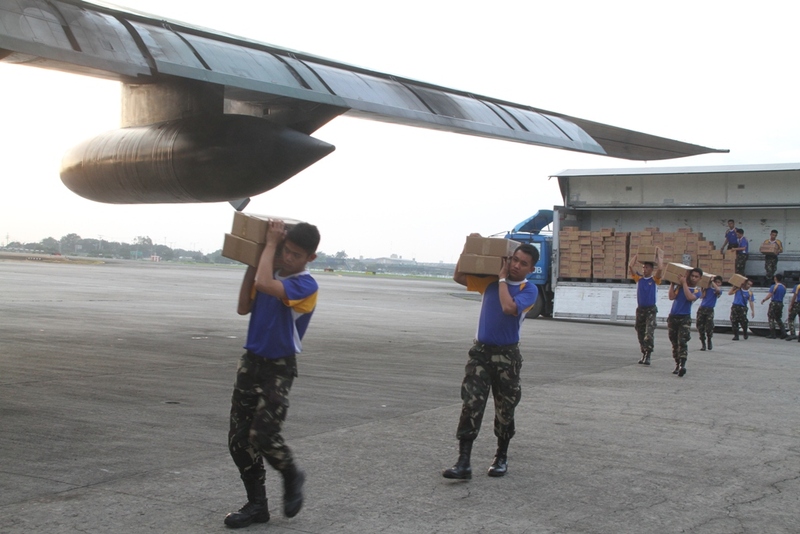 blankets, 1,968 pcs. sack mosquito nets, 270 pcs. 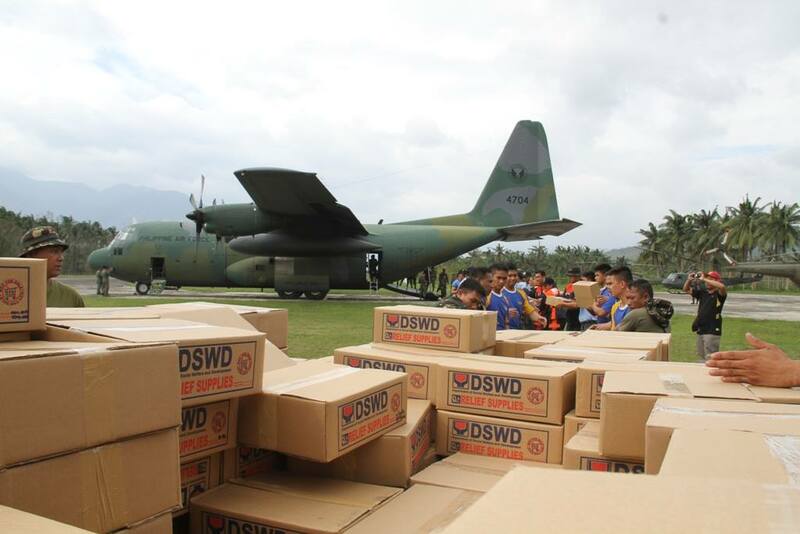 malong and other necessities as facilitated by the DSWD with ASec. 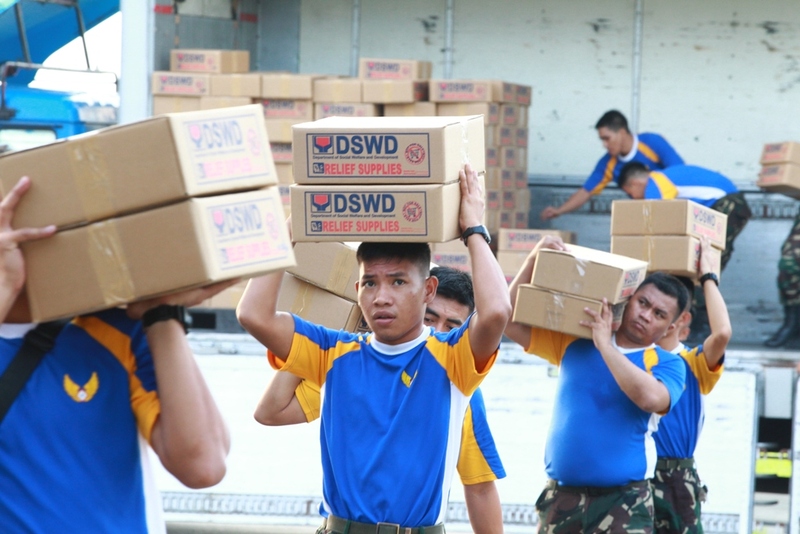 Gerardo Bayugan, Department of Health. 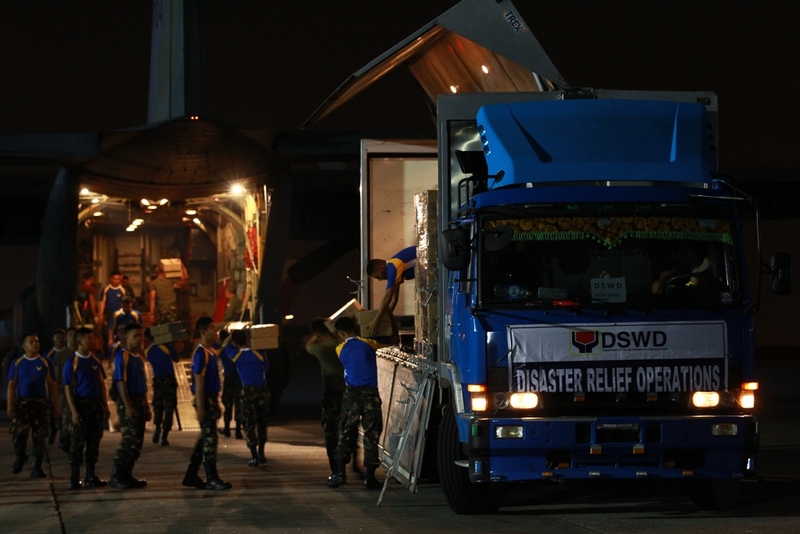 This entry was posted under Armed Forces of the Philippines, Briefing Room, Department of National Defense and tagged Armed Forces of the Philippines, Lando (storm), Philippine Air Force, press releases, Relief (Lando). Bookmark the permalink.